Welcome to Runner's Edge Race Timing! Partnering with TRIDENT RFID Race Timing Systems – Specializing in accuracy and affordability. A Race Timing Company - Since 1995. 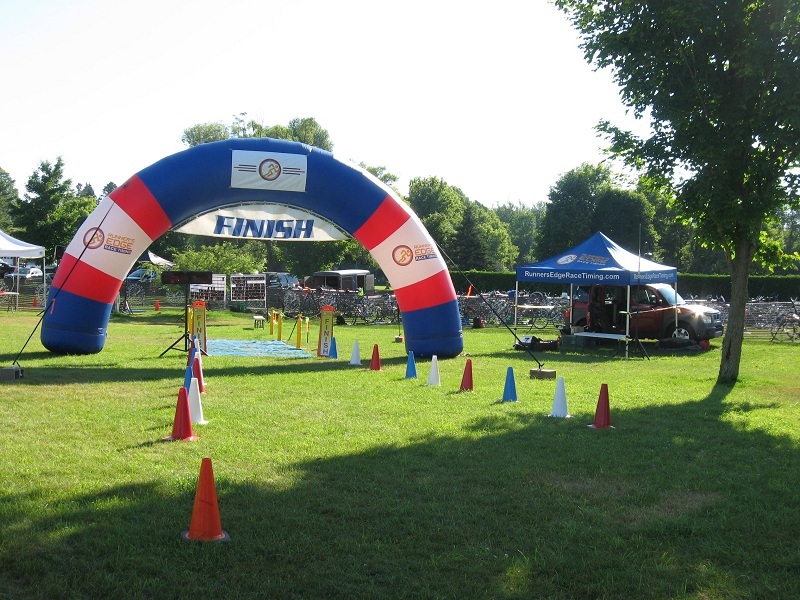 We provide finish line timing services for all types of running and racing events including Road and Trail races, Triathlons/Duathlons, Bike Races and Time Trials, High School and Collegiate Cross Country Championship meets. We provide our Chip timing in Michigan, Indiana, Illinois, Ohio, Pennsylvania, Wisconsin, and Florida. We will provide our services to any location nationwide as participant levels allow. 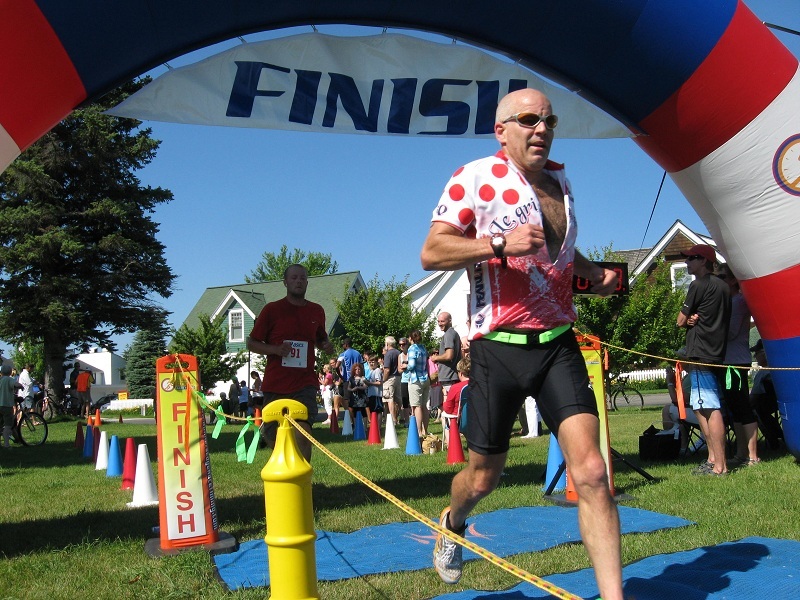 No event is too large as we are part of a strong network of experienced and highly respected race timers that can team up to insure a successful event. Providing Results is by far the most critical aspect of putting on a running event. The participants of the event expect flawless performance, as far as timing and their place in the race are concerned. 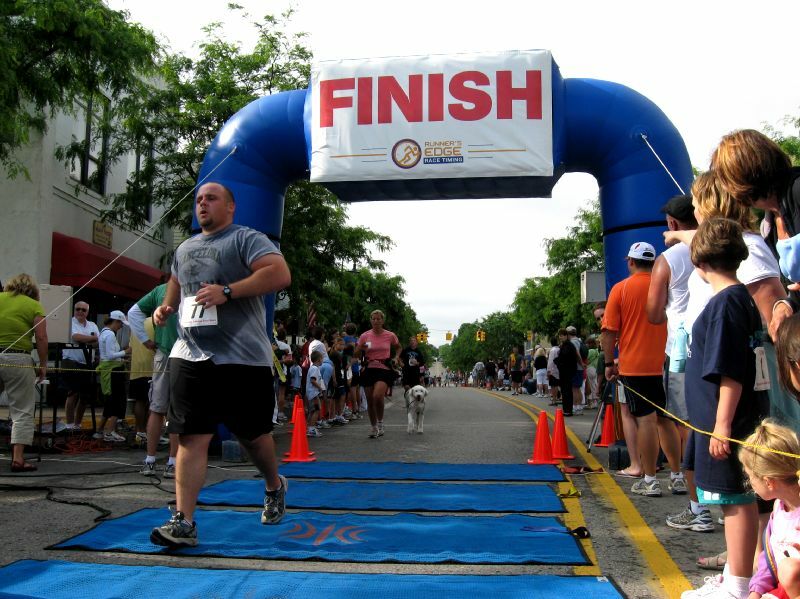 We provide “State of the Art” Chip timing technology at the finish line for fast accurate results. We are a great solution for any race looking for professional results at reasonable rates. 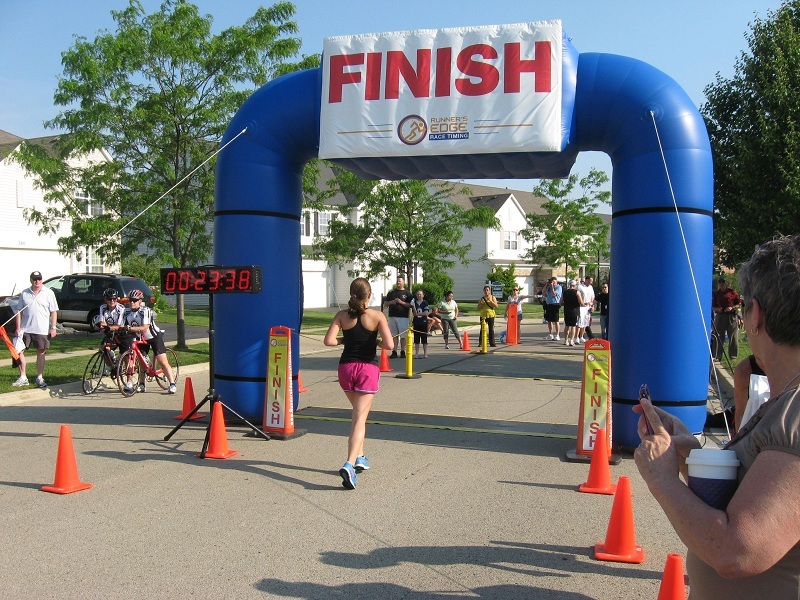 Fully insured for your "Peace of Mind"
An affordable Finish Line or Mile Clock for Race Timers or Race Directors. Go to the Finishline Clock page for more details. It was an absolute pleasure working with you and an honor to provide our runners with your expert results from start to finish. Please keep your 2013 Columbus Day weekend penciled in with Girls Inc 2013 Run for the Treasure! Derek, your company is an event planners ideal organization to work with for premier results—which guarantees the best form of marketing—word of mouth! Thanks for everything- you did a great job with the race! Derek it went real well. Ian is a good guy smoothest race overall yet. Thank you for a fantastic job. Don't make any plans for the Saturday before Memorial Day next year- I'd like to hire you again. Great job! Thanks very much for your professional help and enthusiasm for last week's race here in Lima. We look forward to working with you for years to come. Nice job, don't believe I've ever seen results that quick. Thank you so much for all your help. As you're aware the race was a huge success & we couldn't have done it without you! Thanks for all your help, everything went so smooth!!!!!!!!!!!!!! Thanks for a great job on the race. 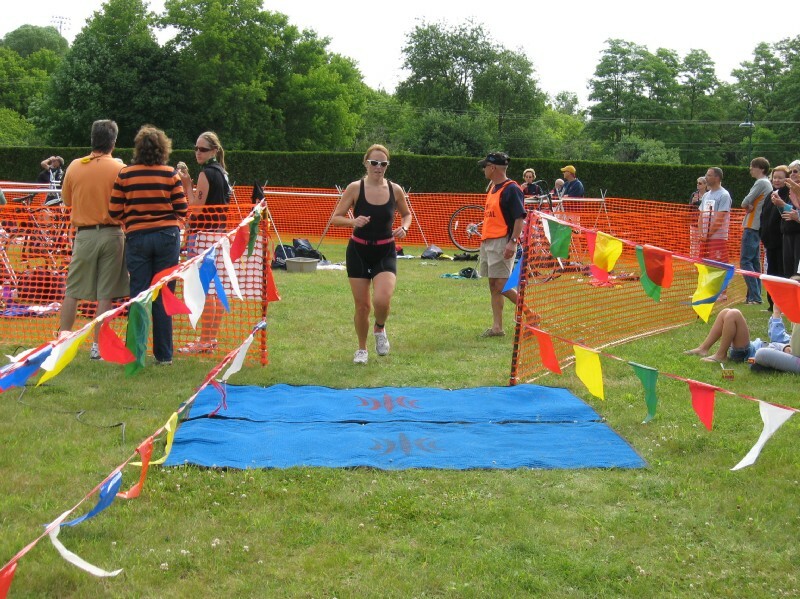 Lots of compliments, which i attribute to a smooth finish line. Thanks again. Thanks for the great work, it’s very obvious you’ve been doing this for a while! Everything ran great. Derek -- you're the best! We would love to have you back next year! Thanks for posting on your website. I just received the official race results in the mail. That is wonderful and very helpful!!! Thank you so much!!! Thank you for doing such a great job today!! The feedback that I have received so far has been raves about the chip timing!!! You really made us look good. You did a great job! Thanks for the results and the picture. Looking forward to seeing you at future races. Thank You, Derek! I was real pleased with the whole race. Remember to send me your open dates next summer so we can schedule next year's event. Take care, and you rock! Thank you so much for all your help and professional race input to make our Hess Lake 10K run/walk a success. As a co-race director with so many details of putting this event together not having to worry about race timing, posting of results or accuracy was a huge relief so that we could use our time in other areas for the run. Look forward to working with you again this year on July 11th. for our fourth annual. Wanted to let you know how much I appreciate all the time you put into our Son of a Sailor 10K walk/run. You walked me through all the steps and answered questions prior to race so that sign up and packet pickup went very smoothly. Our race finish line was very professional and every one was very happy with the quick posting of race results. 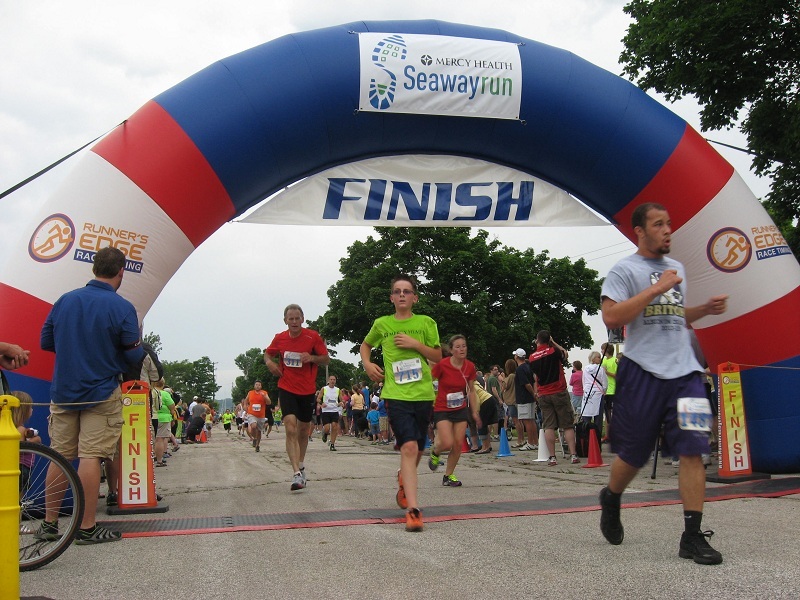 Thank you for helping make our Son of a Sailor 10K walk/run a success, look forward to working with you again in 2009. Thank you for helping make the 2008 BolderBoulder a big success. Looking forward to working with you again. Thanks for your awesome help. Plan on it next year. This is Barb. Just want to let you know that you are doing a great job of timing at races. The chips are great too. We have all come a long way since we first started running. Many thanks to Derek Bailey from Runners Edge Race Timing for fast, accurate results! Thanks again for everything with the race. You did a great job! Thanks for all that you and your crew did to make this meet a success!! Keep the date open for next year!! If the MHSAA does give this to us again.